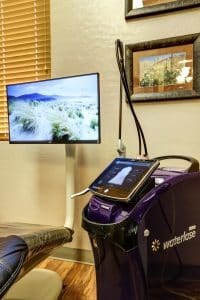 At Smiles by Hanna, our team is always striving to provide patients with the latest and greatest in dental technology, and WaterLase is one of our newest additions. This state-of-the-art laser isn’t like traditional drills – it relies on light and water to thoroughly eradicate areas of infection in a minimally invasive, comfortable way. In fact, most patients don’t even require anesthesia due to the overall gentleness of the procedure. Dr. Hanna Mansoor would love to welcome you here in Gilbert, AZ to receive the revitalizing care you deserve in a truly exceptional fashion! In procedures with regular drills, the most common sources of pain are the heat and the pressure involved. With our state-of-the-art laser, we can eliminate the need for anesthesia in most cases and even dramatically reduce the possibility of bleeding, swelling, or the need for any kind of pain medication after the procedure is finished. By using WaterLase, Dr. Hanna can increase precision and conserve more of your natural tooth/soft tissue. 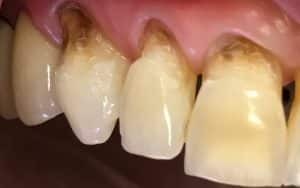 Because this procedure is completely effective without ever having to come into direct contact with the tooth (and because Dr. Hanna can use tips that are disposed of after one procedure), there’s less risk of any cross-contamination occurring. The treatment is so simple that our Gilbert, AZ team may even be able to perform multiple procedures in a single appointment, saving you valuable time. WaterLase has an impressive amount of versatility, and in addition to periodontal therapy, we may also recommend its use in cases of cavity preparation, root canal therapy, or even cosmetic concerns. 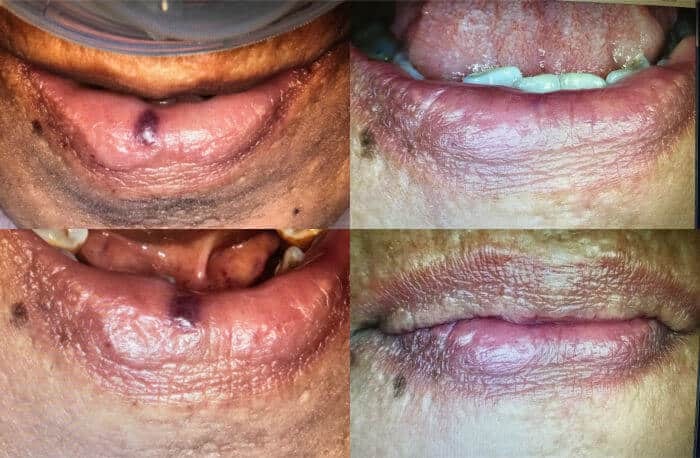 A frenum is a small fold of tissue that connects to a mobile organ, and virtually all patients have oral ones that connect to their upper lip and tongue. While these small components shouldn’t restrict your free movement, a frenum that’s too tight or attached too low can cause severe consequences over time for oral health and function. Dr. Hanna strongly recommends that children suffering from these effects undergo a frenectomy (the surgical release of the frenum) here in Gilbert, AZ. With our state-of-the-art WaterLase technology, we can gently sever the tissue in a way that’s fast, comfortable, and quick to heal. A torus (“tori” when talking in the plural tense) is a growth of bone that can be located in the roof of the mouth, the inside of the jaw, or near the upper molars on the cheek. While tori are typically harmless, they can cause irritation when eating, difficulty speaking, and interference with dentures. If Dr. Hanna determines that removal would be beneficial for your quality of life, she can remove them with no heat, no vibration, and virtually no need for anesthesia with WaterLase. 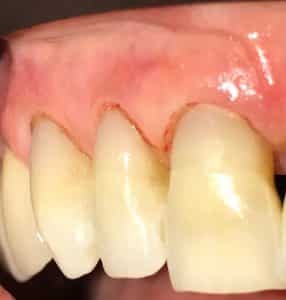 At Smiles by Hanna, we always try to avoid extraction, but there are some cases where the removal of one or more teeth would greatly benefit a patient’s oral health. This is especially true with wisdom teeth, which can often only partially emerge or cause overcrowding. Our Gilbert team will do everything we can to ensure that your procedure goes as smoothly as possible, and our WaterLase laser will provide exceptional comfort as we use it to sterilize the post-extraction tooth sockets and expedite your healing process. To schedule a consultation with Dr. Mansoor and learn more about soft tissue laser treatments, contact her office in Gilbert at (480) 279-3700.